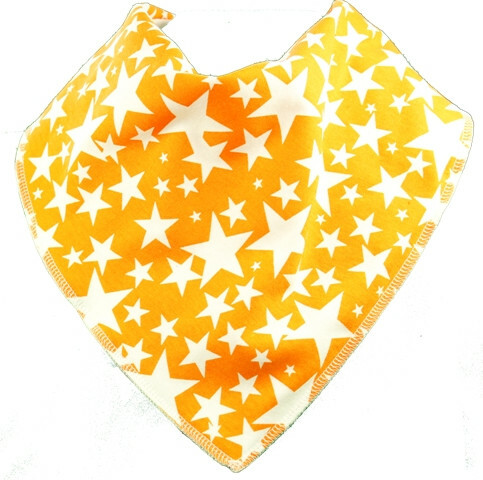 Bright orange bandana bib covered a larger white stars with white fleece & stitching. Size 1 are suitable for children of about 5-10 years. Measurements are length 16cm, width 24 cm, neck 37-40cm approx. Adjustable nickel free press studs means it’s a comfy fit and being machine washable the Bibble Plus+ will last for years. !